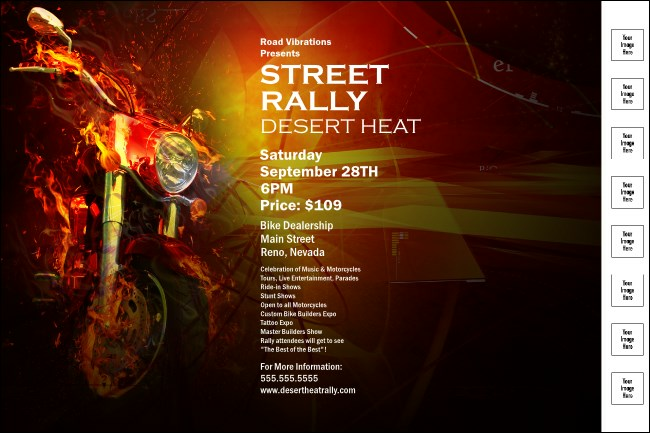 Leave last years event sales in a trail of dust with the motorcycle event poster. With a classic looking black and orange background and a sweet looking bike, expect a new level of success for this years event. Upload up to eight custom images on this template for your sponsors. Promote your event with style! Order custom posters from TicketPrinting.com.